Looking for a whiteboard animation video to explain your business, engage your audience and attract more clients? Look no further! I will build a Professional WHITEBOARD ANIMATED VIDEO within affordable rates. Reviews and portfolio video speaks for itself, you'll literally favorite this HOURLIE if you watch it till the end, no one else does it better. We make the best whiteboard animation videos. 100% Satisfaction Guaranteed. Our clients love us! We've done whiteboard animations for a lot of clients and they are satisfied with our services, let's do the same for you. Every addition of 50 words in the script will lead to increase of 15 usd in all packages. This is valid below 400 words script, for a script above 400 words you have to come in the inbox to get a quote. - and other information related to your video. Welcome to my PPH Profile! 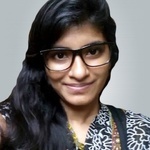 My name is Mallika and I am a professional Motion Graphics Designer and 2D animator and editor from Dhaka, Bangladesh. Not sure about how to create...Read moreWelcome to my PPH Profile! My name is Mallika and I am a professional Motion Graphics Designer and 2D animator and editor from Dhaka, Bangladesh. I specialize in high-quality Motion Graphics Design and amazing 2D animation. If you need Motion Graphics Design, 2D Animation, video editing and any kind of like this work, feel free to get in touch. I won't bore you with technical jargon and will give you friendly free advice about the direction to take your project if you're unsure about which visual direction to go in. I am very skilled in handling most of the industry standard Motion Graphics Design, 2D Animation, and video/audio editing softwares. My skills are not only limited to Motion Graphics Design and 2D animation, but I also have considerable knowledge in graphic design, web technologies, social media marketing, and SEO. I am currently managing many YouTube channels, WordPress websites and social networking pages for my clients. I like to work with people, instead of work for people. I like to see the people who hire me as friends with whom I can relate. If your idea or business needs an update of Motion Graphics Design, 2D animation, and video editing refresh, get in touch and I will gladly quote you a competitive price and an honest timeframe. All my videos are done responsively and I will always make an extra effort, even when the projects are over to make sure you get the best possible work from me. I like to treat any video in which I work as if it were mine. I will not stop working on it until I am satisfied with the result. I look forward to working with you. If you think I'm a good fit for your project please don't hesitate to shoot me a message.